Home » Facebook for Business » Social Engagement The Facebook Way | Do it Right! Social media engagement is made up of three core components – the platform (any social media tool), Your Social Community and You. How you interact with your community, and vice versa is not how Facebook algorithm called Facebook Edgerank Insights determines social media engagement. Theirs is quantifiable and, therefore, measurable. And theirs is what we should focus on if we want our posts to end up in the news feed. Fact: Not all of our fans see our Facebook page posts. 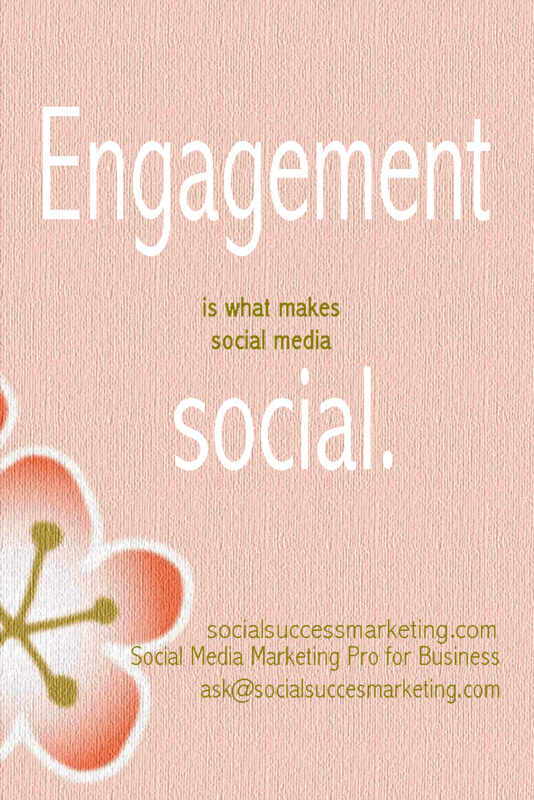 We view social media engagement as being on Facebook like forever and posting on your wall every hour. It is not the quantity; it’s the quality of posts that we should strive for. According to Wiki, “A common metric of social engagement is the quantifiable volume of activity.” The above activities can be measured by Facebook, and, therefore, should be the goal each time we post something. Focus on quality posts that could get you any of the “Facebook-engagement” types of response. Check your insights. Don’t be afraid to try anything. And again, check Facebook Insights. Harness Facebook Insights. I guess you already have figured out that yes, (one last time) Facebook Insights should be used to your advantage. Post high-quality photographs. A picture can elicit a lot of responses according to a plethora of research that you most likely have come across. You don’t need an expensive gear to take high-quality photos. You can use iPhone and iPad to create stunning web-ready photographs. I know, because I am a Photographer too. Optimize your Facebook personal profile by including the link to your business page. Related to #3, make sure your profile with your Facebook business page or work history info is public. In your Facebook profile, enable “Follow.” This part freaks me out but if you want more eyeballs to see your brand. You need to do this. Make sure your brand Facebook business page is clickable. This is one lesson I recently learned. I tried to view my profile as someone (it’s one great Facebook feature that I often use to see how my posts appear to others). I found out, to my horror, that my Facebook page was not clickable at all. I’ve corrected it since. Your turn. 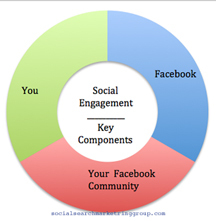 To get engagement the Facebook way, what works for you? And as always if you need help regarding social media or optimized content for your blog. Feel free to contact us at ask[at]socialsearchmarketinggroup.com.